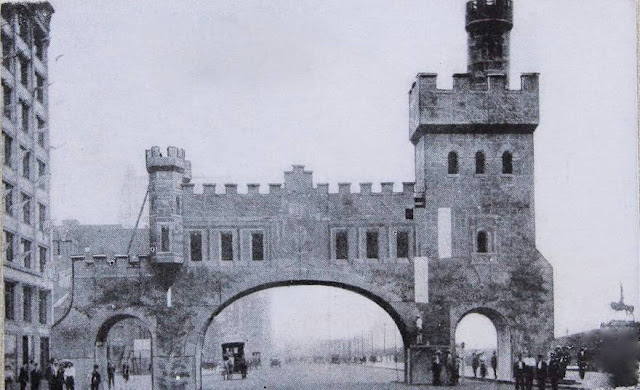 The arch and columns were erected to commemorate the 1910 Knights Templar Conclave. The arch built over Michigan Avenue between 9th and 11th Streets, in Chicago (1910). Note Grant Park’s Logan Monument in the lower right corner. 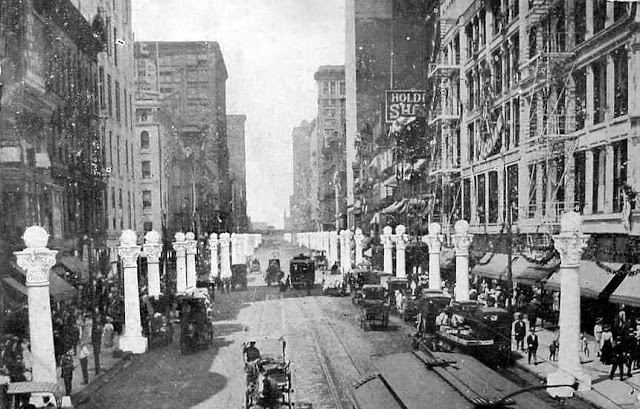 Looking north on State from Van Buren, Chicago (1910).